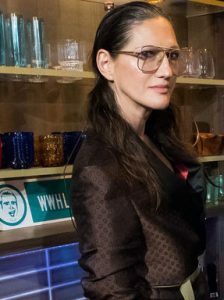 Turner and Jenna Lyons announced today a new, multi-disciplinary partnership at the intersection of lifestyle, home, fashion and beauty—bringing Jenna’s approachable, finely curated point of view to a broader audience. This venture will integrate all elements of today’s media landscape including television, e-commerce, social media and direct to consumer platforms. Launching in 2019, Lyons and Turner will unveil an unscripted series at the center of an integrated lifestyle space, comprised of daily online content and direct-to-consumer commerce that will evolve into a full-fledged digital platform in 2020. Throughout her career, Lyons has been driven by a passion to meld desire and approachability into a cohesive vision of interiors, fashion and beauty. At the heart of her work is the belief that aspiration and accessibility can co-exist. This thoughtfully edited platform will provide individuals the tools to create their own style narratives. In collaboration with Turner, Lyons will share her curatorial perspective in a weekly television series produced by Our House Media with Matt Hanna, Simon Lloyd and Hillary Olsen executive producing. Observatory, the marketing agency led by CEO Jae Goodman, will consult Turner, Lyons and Our House Media on the platform’s brand relationships, marketing, and content-meets-commerce approach. Today’s announcement is a continuation of Turner’s initiative to expand relationships with talent into multiple, diverse business platforms. In May, TBS announced an expanded partnership with Conan O’Brien though a new joint venture, the first iteration of which is a multi-city comedy tour kicking off Friday, November 2. Throughout her career, Lyons has been driven by a passion to meld desire and approachability into a cohesive vision of design, fashion and beauty. At the heart of her work is the belief that aspiration and accessibility can co-exist. During her 27-year tenure at J. Crew culminating into Executive Creative Director and President, Lyons built a talented team that brought a singular, inclusive and joyful vision to the brand. Lyons graduated from Parsons School of Design in 1990 and landed her first job at J. Crew Group when she was 21. Turner, a WarnerMedia company, is a global entertainment, sports and news company that creates premium content and delivers exceptional experiences to fans whenever and wherever they consume content. These efforts are fueled by data-driven insights and industry-leading technology. Turner owns and operates some of the most valuable brands in the world, including Adult Swim, Bleacher Report,Boomerang, Cartoon Network, CNN, ELEAGUE, FilmStruck, Great Big Story, HLN,iStreamPlanet, Super Deluxe, TBS, Turner Classic Movies (TCM), TNT, truTV andTurner Sports.